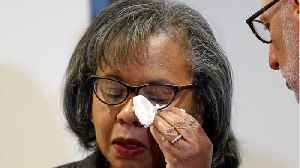 Former Vice President Joe Biden said Tuesday (March 26) he 'regrets' the treatment of Anita Hill during the Senate confirmation of Supreme Court Justice Clarence Thomas in 1991. Biden was chairman of the Senate Judiciary Committee at the time. He's been criticized for not doing enough to protect Hill, who accused Thomas of sexual harassment. "There were a bunch of white guys. No seriously, a bunch of white guys hearing this testimony on the senate judiciary committee. So when Anita Hill came to testify she faced a committee that didn't fully understand what the hell it was all about. To this day I regret I couldn't come up with a way to get her the hearing she deserved," he said. 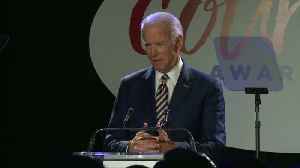 Biden has since apologized and said he would have done more to shield Hill from Republicans. 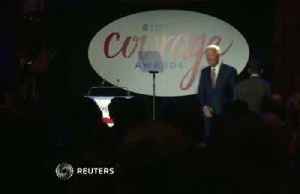 Biden was speaking at the Biden Courage Awards in New York City, an event that highlights students who are working to stop sexual assault. 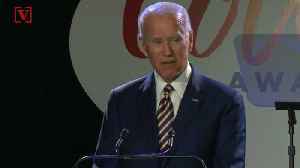 Sources familiar with Biden's plans for a 2020 White House run said last Wednesday (March 20) he has begun building a presidential campaign ahead of an expected announcement in April. He has told supporters and former staff that he will run, according to one source who has knowledge of discussions. Biden and his aides also have reached out to donors and potential bundlers - people who volunteer to raise money on behalf of the candidate - to assess support, according to another source. 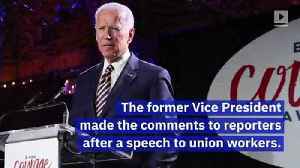 Joe Biden Says He's 'Not Sorry For Anything' He's Ever Done The former Vice President made the comments to reporters after a speech to union workers. 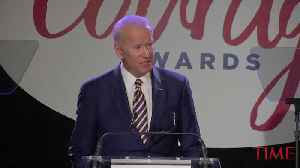 Joe Biden, Former VP, via 'The Hill' Joe Biden,..
At The Biden Courage Awards in New York, former VP Joe Biden said that he regretted how Anita Hill’s 1991 senate hearing was handled. Kellyanne Conway: Joe Biden apologized to Anita Hill. ‘Why can’t he’ apologize to Lucy Flores? Former U.S. Vice President Joe Biden said on Sunday he believed he had never acted inappropriately following allegations by a female activist that he made her feel uncomfortable by kissing her at a..
Joe Biden revealed the regrets he has over how he handled questioning Anita Hill during the confirmation hearing on eventual Supreme Court Justice Clarence Thomas. On Tuesday, Former VP Joe Biden expressed regret for Anita Hill&apos;s treatment during the Clarence Thomas hearings. 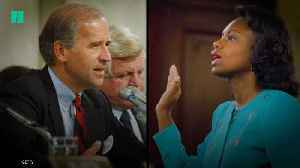 Former Vice President Joe Biden talks about the Anita Hill hearings during a speech in New York, saying he &apos;regrets&apos; he couldn&apos;t come up with a way to &apos;get her the..